The weather has been so terrible this summer that outdoor wanderings have been difficult to accomplish. It seemed a good idea then to investigate some of York’s indoor attractions. This seemed an even better idea when I realised that so many of them are free. No excuse then. 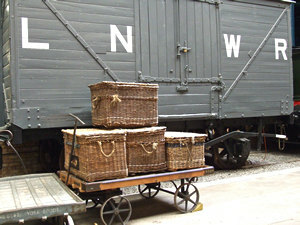 All aboard for the first stop – the National Railway Museum. 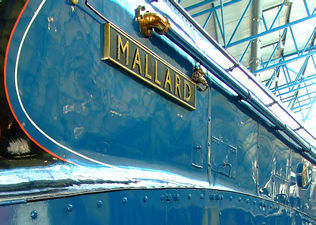 I know that this one on the left is Mallard, that it’s famous, and that it’s very blue and sleek and beautiful. This one on the right is recognisably of more modern times, with that iconic logo. It’s brilliant here, they’ve got old trains, new trains, and all kinds of trains [*see footnote] I won’t be able to tell you anything much factual about. I’ve always tended to glaze over a little when faced with train facts. This page is just a vague appreciation of a fine museum. And lots of photos of the various bits and pieces. I remember this place opening – or rather, being taken here by my Dad quite soon after it opened in the 1970s. I’ve been at least once since, but that was years ago. I’m not sure why I’ve left it so long before revisiting. Probably because I thought I had to pay to get in. I remember, at times in the past, finding museums sometimes quite tedious and tiring. Sometimes there’s too much information to take in, in one visit, and if you’ve paid lots of money to get in, you feel like you have to get your money’s worth, and so end up trying to read all the information boards, and feel like you have to learn something. Similarly, memories of school visits, and having to have an educational experience, did leave me with a residual slightly negative feeling about museums. On this occasion I decided to read hardly anything, and had a far better time. 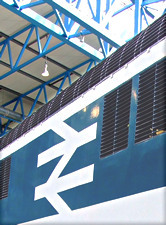 More than one visit would no doubt be necessary, to do the place justice – and to read and absorb all the information. 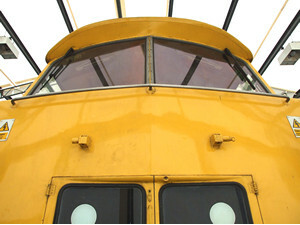 It is, as the museum’s own website states, the largest railway museum in the world. And a truly impressive place, with something for everyone. 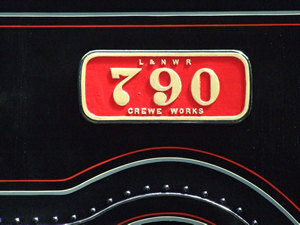 I’ve mentioned many times elsewhere that I’m descended from generations of railwaymen, so despite being not that interested in the technical stuff, I am drawn to all things railway-related, and read books on railway-related things when researching family history. When looking at older steam locomotives I knew that these would be the kind of trains that my great-grandfather worked on and around, the kind of trains that brought him here to York. 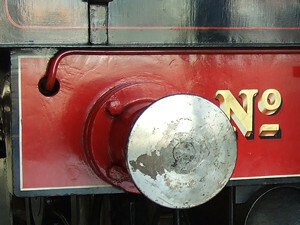 While I was admiring the paintwork and shining metal bits, in a girly kind of way, my companion was trying to explain to me something significant regarding the wheel arrangements of the different locomotives before us. 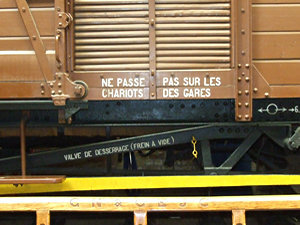 I think this was because, some time back, when reading those railway-related books in my family history research, I’d expressed a vague interest – well, confusion – when faced with the captions on photos of trains, which included mysterious numbers separated by hyphens. But however much the 0-4-2 and 0-4-0 business was pointed out – and he did, persistently – I couldn’t really see it. It didn’t matter. I managed to run off and lose him, behind a big train of some kind. I looked it up later, this thing about wheel arrangements. 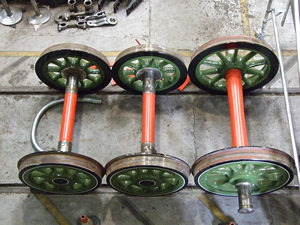 And though my interest in the subject extends no further, and I still feel limited to a general aesthetic appreciation of locomotives, rather than a technical one, I now feel equipped to deal with it should I be harrassed again by my companion demanding I examine train wheels. Apparently I just need to say "Ah yes, the Whyte Notation. 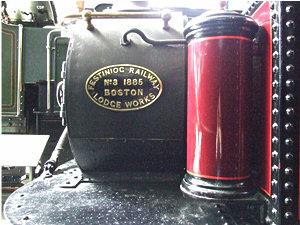 Used for classifying steam locomotives by wheel arrangement. 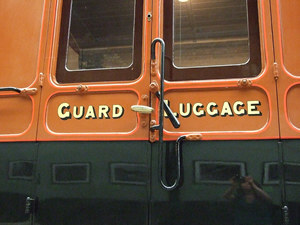 Devised by Frederick Methvan Whyte, and came into use in the early 20th century. I find the UIC classification is a more versatile system, don’t you?" That should do it.